All of the websites, brokers, software, and content that we at The Trade Risk use or consume on a daily basis. NOTHING BELOW IS A DIRECT RECOMMENDATION AND SOME URLS MAY CONTAIN AFFILIATE LINKS. Robinhood's zero cost commission structure makes this an extremely attractive option for all traders. If you are just starting out and learning how to trade or have a small account there are no excuses not to trade with them. Professional broker with an attractive commission structure and more sophisticated options for charting and research, algorithmic trading, managed accounts, and more. My go-to platform for charting stocks, maintaining watch-lists, and especially scanning for stocks. Very flexible and powerful, but it does come with a bit of a learning curve. A large collection of chart types, indicators, breadth data, market tools, and loads more. Easy to use and widely adopted. Most recognized for their free screening tools, a great lightweight browser option for building watchlists and finding stocks. A web-based charting platform with loads of indicators and data feeds at your fingertips. I mostly use this for tracking and charting cryptocurrencies nowadays but it's equally as flexible for stocks. In the rare case that I find myself day trading, NinjaTrader is the software that I use to trade directly on the chart and route my orders to my broker. It’s also where I do all of my backtesting on strategies. 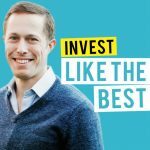 Great free resource for backtesting portfolio allocations, correlations, and simple timing models. At a glance check in on the potential market-moving events and reports scheduled for the week ahead. Great pre-built charts and easy to use site that I primarily reference for breadth and put/call data. There’s no better place to get breaking news and information on a stock than the ticker stream on Stocktwits. Also a great place to follow and curate a stream of experienced traders. My go-to source for finding out how many shares of a stocks float are held by short-sellers. Blending together market fundamentals, news, and events, with technicals, IBD is one of my favorite spots for idea generation and staying up to date with market moving catalysts. Tom’s research and market observations are unique and always offer a great perspective and food for thought. Be sure to check in on the McClellan Oscillator statistics while you’re there. Daily market insights and observations from Howard Lindzon, the co-founder of Stocktwits, early-stage investor, and public markets trend follower. Tadas Viskanta aggregates together the top articles from all around the financial blogosphere and delivers daily and weekly roundups of only the good stuff. Long-term and highly regarded VC Fred Wilson writes a daily blog with his thoughts and observations about technology, markets, and early-stage investing. Hosted by Patrick O'Shaughnessy where he interviews some of the brightest professional investors in the business. 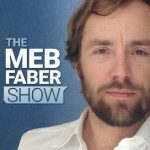 Hosted by Meb Feber where he interviews professional investors and hosts listener Q&A episodes. 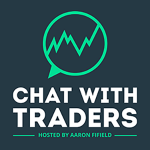 Hosted by Aaron Fifield who interviews successful traders specialized in a wide variety of trading strategies. 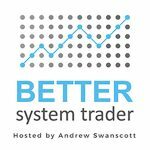 Hosted by Andrew Swanscott who interviews quantitative traders that have successfully built out automated trading systems. 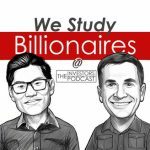 Hosted by Preston Pysh and Stig Broderson where they discuss influential investing books, host live interviews and cover sound investing principles. The easiest way to stay up to date with market analysis and trade ideas.